The village of Nea Skioni was formerly known as “Tsaprani” but its present name reminds the earliest of all Kassandra’s colony cities. 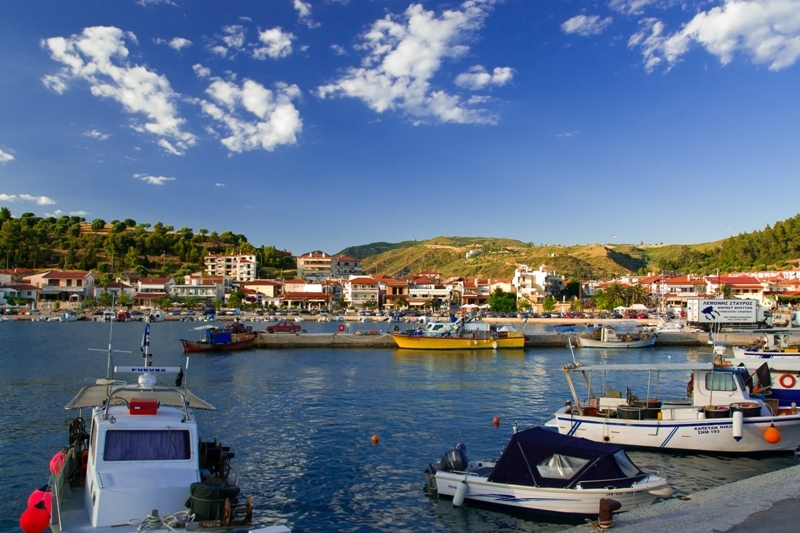 The modern village of Nea Skioni was founded in 1918, 110 km away from Thessaloniki, on the site of a small fishing village, near the ancient city of Skioni, which once existed here. 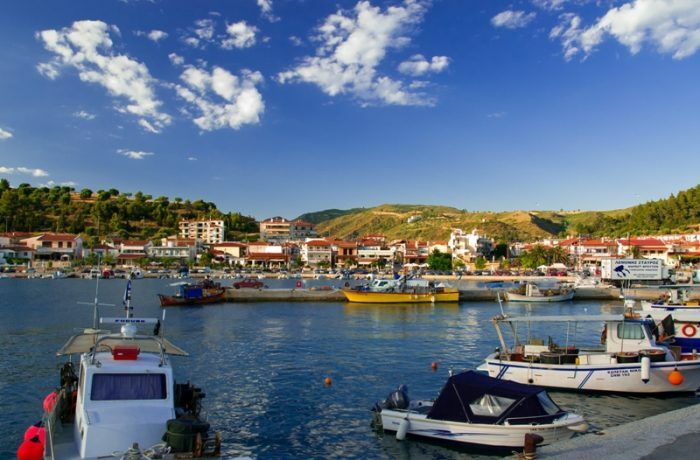 Nowadays Nea Skioni has a shape of an amphitheater built around a small port, where fishing boats arrive every day to deliver fresh fish to local taverns. The modern village is a tourist resort with few hotels and guesthouses, traditional tavernas, ouzo bars, cafes, and a scenic harbor. The little church of Panagia Faneromeni, dated back to the 16th century, representing impressive paintings. History says that the Virgin, herself, chose the site for the church to be built, nearby the sea. The ruins of the old village (Tsaprani) and the old parish church, which was built in 1867 and presents interesting architectural details. The sardine feast which usually takes place on the first weekend of August, it lasts for three days; guests will have the chance to taste fresh sardines and local wine.